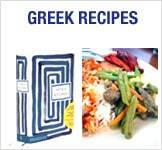 THIS SITE IS PROVIDED BY GREEKINTERNETMARKET.COM, Ltd. (“GREEKINTERNETMARKET.COM”) ON AN "AS IS" BASIS. GREEKINTERNETMARKET.COM MAKES NO REPRESENTATIONS OR WARRANTIES OF ANY KIND, EXPRESS OR IMPLIED, AS TO THE OPERATION OF THE SITE OR THE INFORMATION, CONTENT OR MATERIALS INCLUDED ON THIS SITE. TO THE FULL EXTENT PERMISSIBLE BY APPLICABLE LAW, GREEKINTERNETMARKET.COM DISCLAIMS ALL WARRANTIES, EXPRESS OR IMPLIED, INCLUDING BUT NOT LIMITED TO IMPLIED WARRANTIES OF MERCHANTABILITY AND FITNESS FOR A PARTICULAR PURPOSE. GREEKINTERNETMARKET.COM WILL NOT BE LIABLE FOR ANY DAMAGES OF ANY KIND ARISING FROM THE USE OF THIS SITE, INCLUDING BUT NOT LIMITED TO DIRECT, INDIRECT, INCIDENTAL, PUNITIVE AND CONSEQUENTIAL DAMAGES. All content included on this site, such as text, graphics, logos, button icons, images, audio clips and software, is the property of GreekMarket.com or their content suppliers and protected by U.S. and international copyright laws. The compilation (meaning the collection, arrangement and assembly) of all content on this site is the exclusive property of GreekMarket.com and is protected by U.S. and international copyright laws. All software used on this site is the property of GreekMarket.com, or their software suppliers and protected by U.S. and international copyright and/or patent laws. The content and software on this site may be used only as a shopping resource. Any other use, including the reproduction, modification, distribution, transmission, republication, display or performance of the content on this site is strictly prohibited. GreekMarket.com and other GreekMarket.com graphics, logos and service names are trademarks and/or registered trademarks of GreekMarket.com. Trademarks may not be used in connection with any product or service without the express written permission of their respective owners. This site is created by and controlled by GreekMarket.com in the State of South Carolina, USA. As such, the laws of the State of South Carolina will govern these disclaimers, terms and conditions, without giving effect to any principles of conflicts of laws. We reserve the right to make changes to our site and these disclaimers, terms and conditions at any time. GreekMarket.com does sell products to the general public, including children, but it sells them to adults, who can purchase with a credit card. If you are under 18, you may use GreekMarket.com only with involvement of a parent or guardian. GreekMarket.com reserves the right to refuse service, remove or edit content, or cancel orders in their sole discretion. Does your order keep erasing or "doesn't take" when you try to place items in your shopping basket? The reason it is not working is probably because you have your browser settings not to accept "cookies" or are using a cookie blocking software, such as GhostSurf. Our shopping cart software requires us to place a "cookie" on you hard drive in order for the shopping cart to remember what you ordered. This is a common practice for shopping cart applications. You can usually change this setting under the tools section in your browser or turning off GhostSurf. It is sometimes under a privacy subheading. 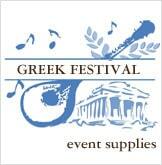 All items purchased from GreekMarket.com are made pursuant to a shipment contract. This means that the risk of loss and title for such items pass to you upon our delivery to the carrier. GreekMarket.com attempts to be as accurate as possible. However, GreekMarket.com does not warrant that product descriptions or other content of this site is accurate, complete, reliable, current, or error-free. If a product offered by GreekMarket.com itself is not as described, your sole remedy is to return it in unused condition. When you visit GreekMarket.com or send e-mails to us, you are communicating with us electronically. You consent to receive communications from us electronically. We will communicate with you by e-mail or by posting notices on this site. You agree that all agreements, notices, disclosures and other communications that we provide to you electronically satisfy any legal requirement that such communications be in writing.